Founded in 1928 by Edwards and MacLiammoir Dublin’s Gate sought to host more internationally flavoured works than the nearby Abbey. Over the years the theatre has had a long association with many of Becketts works with the theatre also giving Orson Welles and James Mason their first breaks to tread the boards. 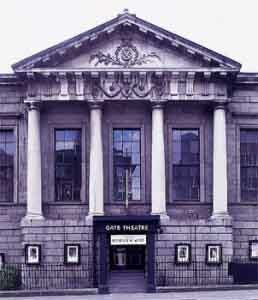 Today the theatre is under the directorship of Michael Colgan and continues to draw avid theatre goers in. Error: Error validating access token: Session has expired on Monday, 22-Apr-19 15:56:05 PDT. The current time is Tuesday, 23-Apr-19 01:29:20 PDT.